The time has come to decorate the house for Valentine’s Day. Instead of heading to the dollar store and filling the house with disposable decorations, we have decided to make our own decorations this year. 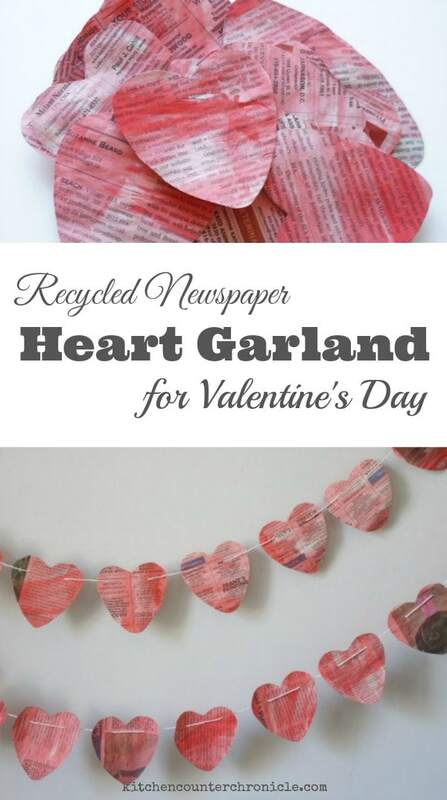 We are transforming old newspapers into a beautiful painted newspaper heart garland. 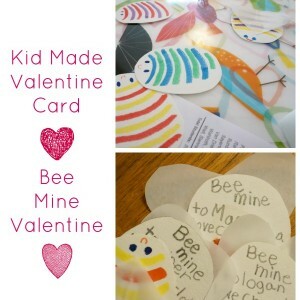 This is a fantastic art project for kids to work on. Kids get messy painting, do all the tracing and cutting. The project even involves simple sewing. Depending on the age of our children, they can do some or all of the work. In the end, you will have a lovely hearts that will bring a smile to everyone’s faces. Perhaps the best part is that this garland is recyclable and reusable. Pack it up after Valentine’s Day and bring it out again for years to come. 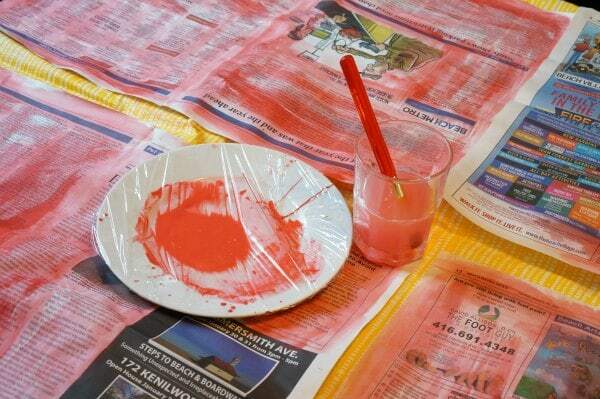 Use the red paint to paint both sides of the sheets of newspaper. We watered down our paint, making a very translucent paint, however feel free to use the paint at full strength. 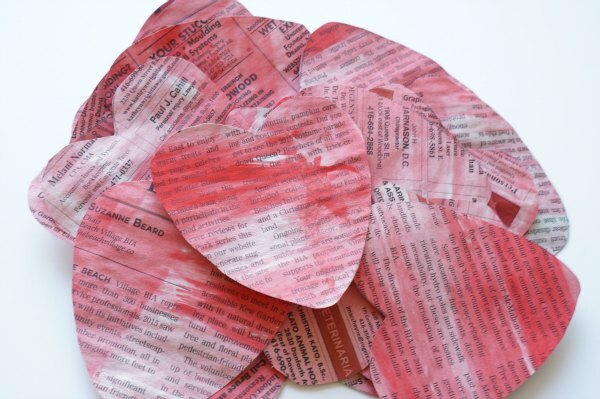 Once the sheets of newspaper are painted (on both sides) and have dried, trace the heart cookie cutter all over the newspaper. Cut out all of the hearts. Feed the string into the large needle…a cross stitch needle is a good choice. 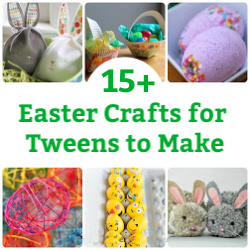 A cross stitch needle has a dull end, which makes it great for kids to sew with. We made 2 styles of garlands. 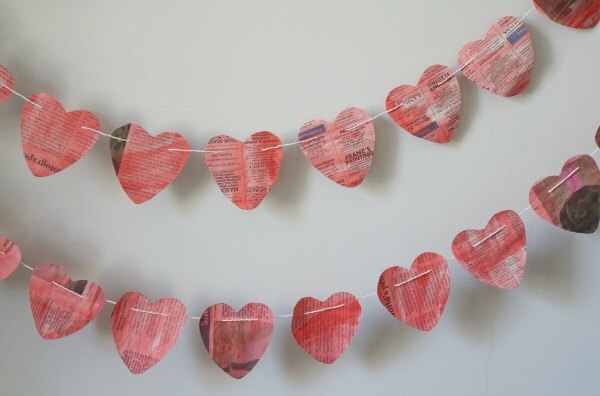 One that swags like a traditional garland and we also made 7 hanging heart garlands. 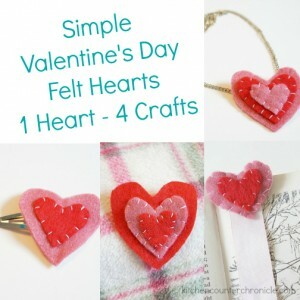 For the hanging hearts, simply use the needle and string to poke a hole in the top centre of each heart. Tie a knot to keep the heart from sliding on the string and feed on another heart. You can position the hearts as close together as you like. The girls and I liked having the hearts with large spaces. 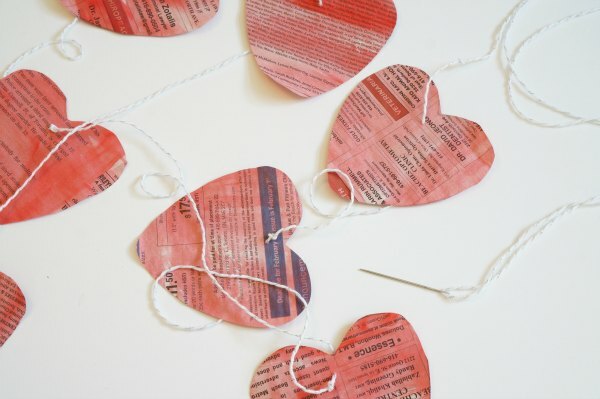 For a more traditional garland, poke the needle and thread through the top of the hearts in two spots. 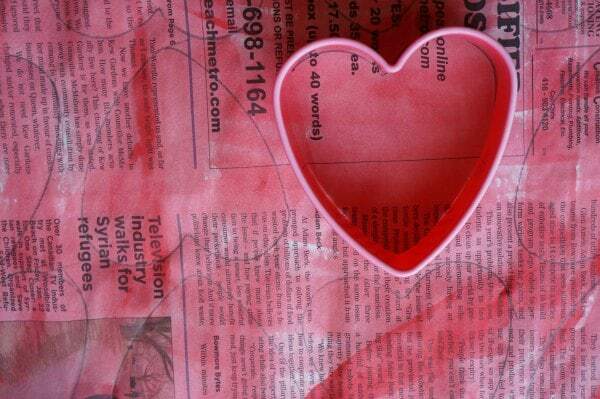 Continue “sewing” the hearts onto the string. Hang the garlands up around your house and enjoy! 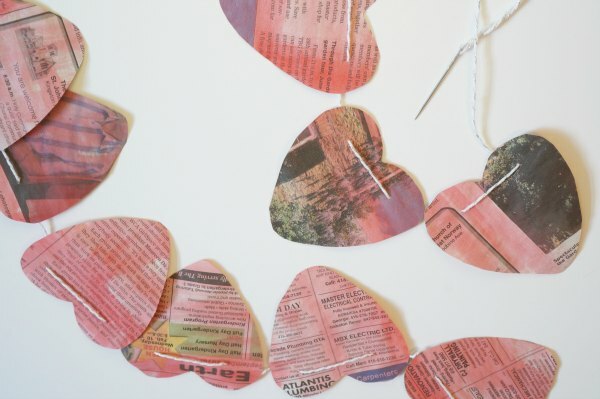 We will be placing our hanging heart garland in our living room. We have a weird cut out in the wall, that makes the perfect spot for hanging festive garlands. You might remember we hung our newspaper rainbow bunting in the same spot a couple of years ago. 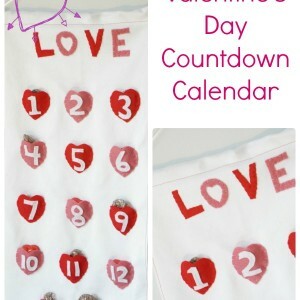 Today’s post is part of the awesome Love Blog Hop – hosted by Kiddy Charts. 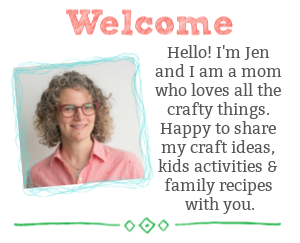 Check out all the lovely crafts and activities being shared by these other bloggers. 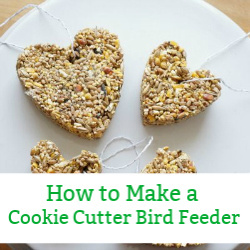 This is a great, simple idea for the kids; my two would love this, perfect excuse to get messy! 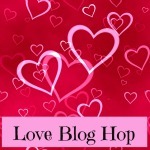 Thanks for much for joining in with the Love Blog Hop. I love how these look in the end. 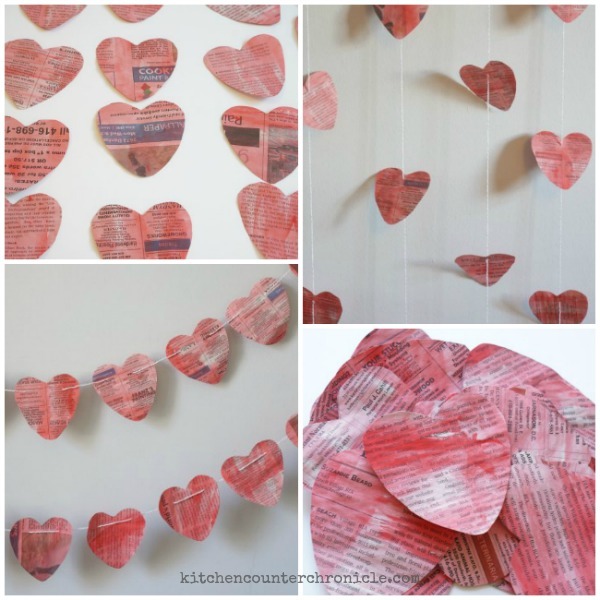 So great for decorating for Valentine’s!